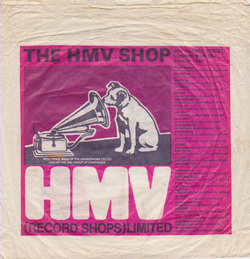 The old HMV shop,Stockton - on - Tees (next to what is now B & M(the old Woolies); I got 2 vinyl singles, 'Babylon is burning' & 'Something that I said' by the RUTS - 10p each, an absolute bargain. The shop assistant was gob smacked that they were in the bargain bin & offered me a fiver for each of them. Needless to say I turned him down. I'd also bought 8 other vinyl singles @ the same time, total price £1.00. God knows what who the other 8 were by! Comment: peacemomger1.